And so the road to the Yorkshire Marathon II begins! The title is slightly disingenuous because it suggests that we both ran together at recovery pace… For Lis, it was more like a fartlek run with walk breaks. The two of us have tried running together multiple times in the past, but it’s never really worked out because of the pace disparity. I’ve agreed to run with Lis on Mondays as recovery, allowing her to dictate the pace; this should give me a bit of additional easy mileage, which will see me running from Saturday through to Thursday with only one day of complete rest. 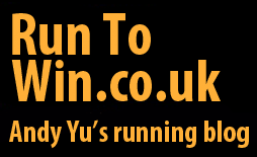 Our goal is to build Lis up to being able to run the 10k distance at September’s Wolverhampton Marathon (Dave and I will be tackling the half marathon). This particular run reasserted that she doesn’t need to jump back into the Couch to 5k programme from the very beginning, but rather week 4 or 5. After almost a year with my Garmin Fenix 3, I was thrilled to finally see it auto detect lactate threshold pace from a recent run-come-race. Sitting at 6:24 per mile, I decided to try out 4 isolated miles during the run home from the office. One alteration for next time would be the length of recoveries; 3:20 per rep was far too generous and left my legs cooling down too much, turning to jelly for the first few steps of each subsequent rep.
Definitely heading in the right direction again! Run-commuting in the warmer summer months is definitely easier than in the cooler winter equivalent; overall, there’s less to worry about and carry, which makes my life a lot simpler when I’m preparing kit to take into the office. One downside of run-commuting in the summer is chafing from bag straps, especially when I’m trying to balance staying cool by wearing a vest and ensuring there’s enough coverage and protection of potential hotspots – Body Glide is a skin saver! I saw a very, very near miss between a somewhat inebriated chap leaving a bus, and then step out in front of said bus without checking for overtaking traffic. Thankfully, both parties stopped in their tracks just in time! What a pleasant evening after work for a run! The sun was out and the smell of summer assaulted my senses, reminding me that summer must be just around the corner. As intended, I slotted in a mile at marathon pace somewhere in the middle. In an ideal world, I would finish off runs with a mile at marathon pace, though living in Kings Heath means I’m inevitably ending my runs with a climb of some description. Records fell again, courtesy of the John Enright memorial run, with attendance hitting 1,025 and further cementing Cannon Hill’s status as second largest event behind only Bushy parkrun (Southampton has also broken 1,000). The memorial was, sadly, extended to the departed Darren Hale who passed away almost a year ago. The start was certainly crowded with so many bodies present, and I found myself having to run wide several times to either avoid being blocked in or just to get some breathing room. Unintentionally, I found myself tailing Carson Tweedie for much of the run, utilising his pacing. Not having run much faster for months, the steady pace felt much faster than anticipated and I was prepared for a swifter finish, only to be disappointed with 19:24. Encouragingly, my heart rate data continues to drop and indicates some work at 5k pace or faster will set things moving in the right direction again. It was months ago that I last ventured all the way to Solihull’s Brueton Park, so much so that I had to wade through my Garmin Connect and Strava logs to confirm as such. A single mile at marathon pace (Strava interpreted it slightly differently to Garmin) did just the trick to wake my legs up, with everything feeling far more comfortable in the second half, even considering the far trickier return for home. Apart from that, it bodes well that there were few surprises when I’m trying to take on marathon training once more. To those new to this section of the blog – welcome! And to those returning to hear me share more of the wins and misses of marathon training – welcome back! First things first; here’s this year’s modified P&D advanced marathoning plan that I’ll be using to get me race-ready for the Yorkshire Marathon. So, a couple of answers to questions that will help explain things. The race and organisation (2016 review here) was first class, with little to nothing I would change. Accurate distance, ample crowd support with pockets for breaks, and a course that’s free of congestion makes it a winner in my eyes. Sure, the profile could be a touch flatter, though none of the climbs were particularly troublesome for me and I’d trade in a few climbs against miles of road blocks and anxiety any day of the week. Oh, and it starts and ends in York, so it has Lis’ buy-in. We both adore the city and there are few surprises to catch us off-guard. Basically, I want everything that happened on race day in 2016 to be replicated, but with upgraded fitness. What’s changed with this year’s plan? In principle, very little has changed between this year’s iteration of the plan and last year’s. The biggest difference is the inclusion of several more half marathons to serve as marathon pace outings. Whilst I didn’t struggle per se with marathon pace in 2016, running at such a pace for extended periods did tax me at times; this year’s goal is to cover the paces whilst leaving me recovered enough to continue training. An odd mile or two of marathon pace during most other runs will ensure ample practice. Like last year, I have stripped out formal sessions at half marathon pace in the belief that they would leave me too fatigued, but also that parkruns when not run at easy or PB pace will cover that area without getting too hung up on it. The recovery runs with Lis will get at least an extra 3 miles in each week. Dave and I will potentially be covering some runs together, seeing as he’s running at the inaugural Birmingham Marathon a week later (which isn’t actually the inaugural race – there was a Birmingham Marathon in the early 80s). I’m also looking at marginal gains that may have an added impact when compounded with training improvements. Simple things like more sleep, better hydration, eating well ahead of big sessions or training runs. You get the idea. None of these things have a training cost and I’m serious about getting all the advantages I can. With my PB of 3:03:05, it would be rude to not go after sub-3, which equates to fewer than 10 seconds per mile when breaking it down. Several of my peers at around my ability are shaving off some 3 to 4 minutes a year in marathons, which gives me confidence in seeking the time. Here’s also hoping for a sub-3 pacer, where 2016 was the only year without since the race’s inception. So, there you have it. It’s all been laid out there and I just need to survive the training. My biggest worry is my left Achilles tendon; it’s been pain-free for months, though I can’t shake the feeling that it’s perceivably less supple compared to before. Mid-week racing, Parkrun record breaking and marathon planning this week. Given I had the DK10K on Wednesday evening, I opted to do no training for a sharp several day taper. Without a big-ticket race to focus on of late, I’ve simply been treading water when it came to training. With an eye on the looming Yorkshire Marathon, that all ended on Friday evening when I sat down with my copy of Pfitzinger & Douglas’ Advanced Marathoning and pulled together a training plan! For the record, I was previously a lot more free form with my prior two marathon outings, with neither performance being representative of my then abilities. I spoke with Darryll Thomas, who’d just recently finished a marathon schedule that propelled him to a 3:08 at the London marathon, for his view. My query was whether to follow a schedule rigidly, or to adjust it to suit one’s needs. Darryll’s opinion was to follow a schedule to the letter with little to no deviation. The basis for my plan is the 18 week “Up to 55 miles per week” schedule. I recall listening to a Marathon Talk interview with Pete Pfitzinger, who was positively urging people to make time for the 18 week schedule, citing it truly rebuilds one’s physiology to become marathon focused, as opposed to the 12 week schedule, which is decent but with fewer transformative powers. Despite sharing Darryll’s view that a schedule should be followed as precisely as possible, looking at the P&D plan and my own needs over the summer has meant I’ve had to fettle with some of the components. The 18 week plan has very little wriggle room for recovery, illness, or life getting in the way. I have a handful of races I’ve slotted in, which I’d like to have a proper bash at, which means slight tapers. So, I’ve stretched the plan out to 23 weeks, accounting for the above but also to ensure I hit the schedule, err, running with a week or two to reacquaint myself with training regularity and normality. One other controversial change I’ve made is swapping out all prescribed half marathon pace miles with marathon pace miles instead. My theoretical marathon pace is around 6:47 per mile, whereas my half marathon pace is 6:25 per mile; I know already that I would not be able to stomach 10 miles with 6 of those at half marathon pace and still be in reasonable shape for the rest of the week. As minor compensation, I’ll frequently be covering Parkrun at sub-20 5k pace, which is very similar to my half marathon pace. For those that are curious, the plan can be downloaded from here in Excel format. Green weeks are easier; blue weeks are set aside for racing; yellow weeks are tougher; red weeks either feature the longest runs, or toughest sessions. Stop press! Cannon Hill’s attendance record was well and truly broken with 1,016 runners on Saturday, making it the second largest event after Bushy. I changed things up by jogging to the park from home to get my warm-up in. It was pretty warm (finally) and left me uncertain of how to approach the run; Wednesday’s DK10K hadn’t broken me and I felt reasonably recovered thanks to the low mileage week. I concluded sub-20 would be enough. It was the second John Enright memorial run, drawing out large crowds from both Kings Heath Running Club and Bournville Harriers, along with many other local clubs well represented and a healthy number of first timers. Nigel and Dave also returned after several week absences. I took advantage of the denser field, pushing me along to an eventual 19:04 finish with little stress or dramatics; had my legs have not been subjected to a mid-week race, I’m confident I could have dipped under 19 minutes whilst still feeling in control. In a bid to return to normality, but also to best prepare myself for the marathon schedule, I embarked on a 14 mile jaunt that took me to Brueton Park in Solihull and back. To say it was warm is an understatement. The thermometer reported circa 20 degrees for officially my warmest run so far this year, though I’m sure this record will be short-lived and will be surpassed in due course. I hate running into headwind, but it was most welcome this morning as a means of regulating my temperature and allowed me to not take on my Isogel. I felt pretty good for the duration of the run, despite the somewhat undulating route and a massive climb in the second half. This was just what I needed to boost low confidence levels and bodes well for the long runs I’ll have to complete over the summer!